^ 1.0 1.1 1.2 1.3 Box Office Mojo staff. Departures. Box Office Mojo. [2014-08-18]. （原始内容存档于2014-05-22）. ^ Sosnoski, Daniel (编). Introduction to Japanese Culture. Rutland/Tokyo: Tuttle. 1996: 70 [2014-08-18]. ISBN 978-0-8048-2056-1. ^ 3.0 3.1 3.2 Olsen, Mark. Yojiro Takita's 'Departures' has a surprising journey. Los Angeles Times. Los Angeles. 2009-05-24 [2014-08-18]. （原始内容存档于2014-08-18）. ^ Kim, Hyunchul. The Purification Process of Death: Mortuary Rites in a Japanese Rural Town. Asian Ethnology (Aichi). 2002, 71 (2): 225–257. （原始内容存档于2013-06-15）. ^ 5.00 5.01 5.02 5.03 5.04 5.05 5.06 5.07 5.08 5.09 5.10 5.11 5.12 Okuyama, Yoshiko. Shinto and Buddhist Metaphors in Departures. Journal of Religion and Film (Omaha: University of Nebraska Omaha). 2013-04, 17 (1, art. 39) [2014-08-18]. ISSN 1092-1311. （原始内容存档于2014-07-26）. ^ Plutschow, Herbert E. Chaos and Cosmos: Ritual in Early and Medieval Japanese Literature. Leiden: E. J. Brill. 1990: 30 [2014-08-19]. ISBN 978-90-04-08628-9. ^ Pharr, Susan J. Burakumin Protest: The Incident at Yōka High School. (编) Weiner, Michael. Race, Ethnicity and Migration in Modern Japan: Indigenous and Colonial Others. London: Routledge. 2006: 134–135 [2014-08-19]. ISBN 978-0-415-20856-7. ^ 保坂, 隆. 医者が考える「見事」な最期の迎え方. Tokyo: Kakukawa Shoten. 2014: 58. ISBN 978-4-04-110667-9. ^ 9.0 9.1 Ide, Kenji. 第３８回　映画「おくりびと」と日本人の死生観. China Internet Information Center: 1 – 2. 2009-03-03 [2014-08-19]. （原始内容存档于2013-01-20）. ^ 10.00 10.01 10.02 10.03 10.04 10.05 10.06 10.07 10.08 10.09 10.10 10.11 10.12 10.13 10.14 10.15 Takabe, Tsutomu; Wakatsuki, Yūji. もうひとりの「おくりびと」. Tokyo: Toho Publishing. 2009. ISBN 978-4-8094-0786-4. ^ 11.0 11.1 11.2 Iwata, Mayuko. 死の風景は清く美しい. Chunichi Shimbun Evening (Nagoya). 2008-09-12: 8–9. ^ Motoki, Masahiro; Silver Insects (编). 天空静座―Hill Heaven. Tōa Dōbunshoin International. 1993. ISBN 978-4-8103-7183-3. ^ 13.0 13.1 13.2 13.3 13.4 13.5 13.6 13.7 13.8 棚部, 秀行. 第８１回米アカデミー賞 外国語映画受賞 「おくりびと」. 每日新闻 (东京都). 2009-03-02: 9. ^ 14.0 14.1 14.2 14.3 14.4 14.5 14.6 Schilling, Mark. Funereal flick out to reap Japan an Oscar. The Japan Times. Tokyo/Osaka. 2009-02-20 [2014-08-19]. （原始内容存档于2014-07-14）. ^ 15.0 15.1 Hale, Mike. From ‘Pink Films’ to Oscar Gold. The New York Times. New York: The New York Times Company. 2009-05-15 [2014-08-19]. （原始内容存档于2014-08-19）. ^ 16.0 16.1 16.2 16.3 16.4 16.5 16.6 Takita, Yōjirō. "Interview with Yōjirō Takita" Departures (DVD). E1 Entertainment. 2008. OCLC 785846111. ^ 吉田, 就彦. アイデアをカタチにする仕事術: ビジネス・プロデューサーの７つの能力. 东京都: 東洋経済新報社. 2010: 43 [2014-08-19]. ISBN 978-4-492-04367-7. ^ 《入殓师》导演泷田洋二郎：我会抚摸死者的脸. 网易娱乐. 2010-08-11 [2014-08-22]. （原始内容存档于2014-08-26）. ^ 19.0 19.1 鈴木, 義昭. 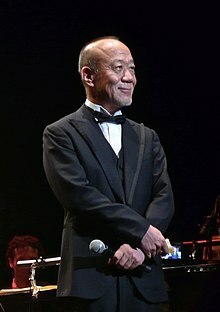 滝田洋二郎、周防正行他　ピンク映画から巣立った名監督多い. News Post Seven. Tokyo. 2012-04-05 [2014-08-19]. （原始内容存档于2013-05-24）. ^ 20.0 20.1 Sapia staff. 「おくりびと」と「つみきのいえ」がアカデミー賞を同時に受賞. Sapia. Tokyo: SAPIX小学部. 2009-04 [2014-08-19]. （原始内容存档于2014-08-08）. ^ 21.0 21.1 21.2 Blair, Gavin J. Departures (Japan). Hollywood Reporter. Los Angeles. 2009-07-01 [2014-08-19]. （原始内容存档于2014-08-19）. ^ 22.0 22.1 22.2 22.3 22.4 22.5 22.6 Tourtellotte, Bob; Reynolds, Isabel. UPDATE 3-Mortician tale "Departures" surprises with Oscar. Reuters. 2009-02-23 [2014-05-13]. （原始内容存档于2014-08-19）. ^ Gray, Jason. Departures tops Japanese box office following Oscar win. Screen Daily. London. 2009-02-27 [2014-08-19]. （原始内容存档于2014-05-12）. ^ 24.0 24.1 24.2 Mullins, Mark R. From Departures to Yasukuni Shrine: Caring for the Dead and the Bereaved in Contemporary Japanese Society (PDF). Japanese Religions (Kyoto: NCC Center for the Study of Japanese Religions). 2010, 35 (1 & 2): 102–103 [2014-08-19]. （原始内容 (PDF)存档于2014-08-19）. ^ 25.00 25.01 25.02 25.03 25.04 25.05 25.06 25.07 25.08 25.09 25.10 Handa, Takuya. ソール・ベロー序論 : 死生観と『おくりびと』を中心に(I) (PDF). Fukuoka University Review of Literature & Humanities (Fukuoka: Fukuoka University). 2010-06, 42 (1). ISSN 0285-2764. （原始内容 (pdf)存档于2014-06-05）. ^ 26.0 26.1 Weekly Biz staff. ガチ！BOUT.52.51 本木雅弘/滝田洋二郎. Weekly Biz. 2009-05-09 [2014-08-19]. （原始内容存档于2014-07-14）. ^ 27.0 27.1 27.2 27.3 野村, 正昭. インタービュー：滝田洋二郎. Kinema Junpō (Tokyo). 2008-09-15, (1516): 59–61. ^ Nippon Academy-shō Association staff. 第22回日本アカデミー賞優秀作品. Tokyo: Nippon Academy-shō Association. [2014-08-21]. （原始内容存档于2014-07-14）. ^ 29.0 29.1 Blair, Iain. Just a Minute With: Japan's Oscar-winning Yojiro Takita. Reuters. 2009-05-28 [2014-08-19]. （原始内容存档于2014-06-15）. ^ 塚田, 泉. FACE08　本木雅弘. Kinema Junpo (Tokyo). 2008-09-15, (1516): 2. ^ 31.0 31.1 31.2 Hagiwara, Kichirō. 映画「おくりびと」そして「むかえびと」として (PDF). Future Sight (Yamagata). 2009, (44): 8–9 [2014-08-19]. （原始内容存档 (PDF)于2014-07-14）. ^ 32.0 32.1 Yamagata News Online staff. 「おくりびと」ロケ地、来月で閉館へ　老朽化、入館者も減少・酒田. Yamagata News Online. Yamagata. 2014-02-22 [2014-08-19]. （原始内容存档于2014-02-27）. ^ 33.0 33.1 Yamagata Community Shinbun staff. おくりびとロケ地ブーム　上山も熱いぞ！. Yamagata Community Shinbun (Yamagata: 株式会社山形コミュニティ新聞社). 2009-05-22 [2014-08-19]. （原始内容存档于2010-01-17）. ^ 34.0 34.1 Yamagata Television System staff. 「おくりびと」で「港座」復活. Yamagata Television System (Yamagata). 2009-05-13 [2014-08-19]. （原始内容存档于2014-07-14）. ^ 入殓师. 日本国家旅游局. [2014-08-20]. （原始内容存档于2014-08-20）. ^ 36.0 36.1 36.2 36.3 Nippon Academy-shō Association staff. 第32回日本アカデミー賞優秀作品. Tokyo: Nippon Academy-shō Association. [2014-08-19]. （原始内容存档于2014-07-14）. ^ 37.0 37.1 37.2 37.3 37.4 37.5 Byrnes, Paul. Departures. The Sydney Morning Herald. Sydney. 2009-10-12 [2014-08-19]. （原始内容存档于2014-08-19）. ^ 38.0 38.1 38.2 38.3 Scott, Mike. Oscar-winning 'Departures' a surprisingly uplifting examination of loss. The Times-Picayune (New Orleans). 2009-08-28 [2014-08-19]. （原始内容存档于2014-05-23）. ^ 39.0 39.1 Barber, Nicholas. Departures (12A). The Independent (London). 2009-12-06 [2014-08-19]. （原始内容存档于2014-01-21）. ^ 40.0 40.1 40.2 40.3 40.4 Adams, James. What a nice funeral – and dull too. The Globe and Mail (Toronto). 2009-06-11 [2014-08-19]. （原始内容存档于2014-06-05）. ^ 41.0 41.1 41.2 41.3 Sharkey, Betsy. 'Departures' is an emotionally wrenching trip with a quiet man. Los Angeles Times. Los Angeles. 2009-05-29 [2014-08-19]. （原始内容存档于2014-05-23）. ^ 42.0 42.1 42.2 42.3 Ebert, Roger. Departures (2009). 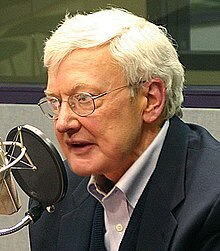 rogerebert.com. Chicago. 2011-12-05 [2014-08-19]. （原始内容存档于2014-08-19）. ^ 43.0 43.1 Paatsch, Leigh. Film review – Departures. Herald Sun (Melbourne). 2009-10-14 [2014-08-19]. （原始内容存档于2014-08-19）. ^ 44.0 44.1 Moore, Roger. The dirty little secret of Oscar winner 'Departures'. Los Angeles Times. Los Angeles. 2009-07-10 [2014-08-19]. （原始内容存档于2014-08-19）. ^ 45.0 45.1 45.2 45.3 45.4 Howell, Peter. Departures: Sentimental journey. Toronto Star (Toronto). [2014-08-19]. （原始内容存档于2014-05-25）. ^ 46.0 46.1 46.2 46.3 Ebert, Roger. Departures. rogerebert.com (Chicago). 2014-05-27 [2014-08-19]. （原始内容存档于2014-08-18）. ^ 47.0 47.1 勝田, 友巳. イキガミ/おくりびと. Mainichi Shimbun Evening (Tokyo). 2008-09-12: 11. ^ Kinema Junpo staff. おくりびと. Kinema Junpo. Tokyo. [2014-08-19]. （原始内容存档于2014-05-31）. ^ 49.0 49.1 49.2 Schilling, Mark. Producer casts wider net. Variety. Los Angeles. 2009-08-28 [2014-08-19]. （原始内容存档于2014-08-19）. ^ Blair, Gavin J. Yojiro Takita looks for foreign opportunities. Hollywood Reporter. Los Angeles. 2009-04-16 [2014-08-19]. （原始内容存档于2014-08-19）. ^ 51.0 51.1 Eiga Ranking Dot Com staff. 『おくりびと』の詳細情報. Eiga Ranking Dot Com. [2014-08-19]. （原始内容存档于2014-05-31）. ^ 52.0 52.1 Blair, Gavin J. 'Departures' welcomed at Japan boxoffice. Hollywood Reporter. Los Angeles. 2009-04-13 [2014-08-19]. （原始内容存档于2014-08-19）. ^ 53.0 53.1 Shinohara, Yūko. 映画『おくりびと』の英語字幕における異文化要素(日本的有標性)の翻訳方略に関する考察 (PDF). 翻訳研究への招待 Invitation to Translation Studies (Tokyo: Japanese Association of Independent Television Stations). 2013, (9): 81–82 [2014-08-19]. ISSN 2185-5307. （原始内容 (PDF)存档于2014-05-24）. ^ Frater, Patrick. ContentFilm nabs 'Departures' rights. Variety. Los Angeles. 2008-11-10 [2014-08-19]. （原始内容存档于2014-08-19）. ^ Danielsen, Shane. Oscar race a big deal for small countries. Variety. Los Angeles. 2009-12-04 [2014-08-19]. （原始内容存档于2014-08-19）. ^ Takahashi, Masahiro. 映画で企画、漫画を作る　「コミカライズ」が隆盛. Asahi Shimbun. Osaka. 2008-09-10 [2014-08-20]. （原始内容存档于2014-05-22）. ^ WorldCat staff. Okuribito. WorldCat. [2014-08-20]. （原始内容存档于2014-05-22）. ^ Billboard Japan staff. おくりびと　オリジナル・サウンドトラック. Billboard Japan. [2014-08-20]. （原始内容存档于2014-07-14）. ^ 「おくりびと」オリジナルサウンドトラック [CD]. Universal Music. [2014-08-20]. （原始内容存档于2014-07-15）. ^ CinemaCafé.net staff. 『おくりびと』イメージソングでAI×久石譲による異色のコラボレーションが実現！. CinemaCafé.net. Tokyo: IID. 2008-07-31 [2014-08-20]. （原始内容存档于2014-07-14）. ^ WorldCat staff. おくりびと : ピアノ&チェロ・ピース /. WorldCat. [2014-08-20]. （原始内容存档于2014-08-08）. ^ WorldCat staff. おくりびと : on record : オンキョウピアノトリオ(ピアノ伴奏/バイオリン・チェロパート譜付き}. WorldCat. [2014-08-20]. （原始内容存档于2014-08-08）. ^ 64.0 64.1 Asahi Shimbun staff. 米国アカデミー賞を受賞した、映画「おくりびと」待望の舞台化映画のその後を描く、新たな感動の物語. Doraku (Osaka: Asahi Shimbun). 2010-04-02 [2013-05-12]. （原始内容存档于2013-05-12）. ^ Asahi Shimbun staff. 米国アカデミー賞を受賞した、映画「おくりびと」待望の舞台化映画のその後を描く、新たな感動の物語 (page 2). Doraku (Osaka: Asahi Shimbun). 2010-04-02 [2013-05-12]. （原始内容存档于2013-05-12）. ^ Cinema Topics Online staff. 本年度映画賞総なめ!!『おくりびと』いよいよ３月18日（水）ＤＶＤリリース！. Cinema Topics Online. Tokyo. 2009-01-20 [2014-08-20]. （原始内容存档于2014-06-07）. ^ Rovi staff. Departures|Releases. Allmovie. Rovi. [2014-08-20]. （原始内容存档于2014-05-23）. ^ Tabouring, Franck. Departures. DVD Verdict. 2010-01-28 [2014-07-14]. （原始内容存档于2014-07-14）. ^ 69.0 69.1 Spurlin, Thomas. Departures. DVD Talk. Internet Brands. 2010-01-24 [2014-08-20]. （原始内容存档于2014-05-25）. ^ 70.0 70.1 Mathews, Jeremy. Departures. DVD Talk. Internet Brands. 2010-01-12 [2014-08-20]. （原始内容存档于2014-05-25）. ^ Box Office Mojo staff. Departures Foreign. Box Office Mojo. [2014-08-18]. （原始内容存档于2014-05-22）. ^ 《送行者》2009台灣日片王 踩《波妞》吞5千萬. 蘋果日報. 2009-12-23 [2014-08-18]. （原始内容存档于2017-03-29）. ^ Rotten Tomatoes staff. Okuribito (Departures) – Rotten Tomatoes. Rotten Tomatoes. Flixster. [2014-08-18]. （原始内容存档于2014-07-22）. ^ Metacritic staff. Departures Reviews. Metacritic. CBS. [2014-08-18]. （原始内容存档于2013-01-26）. ^ 塩田, 時敏. 傑作. Kinema Junpō (Tokyo). 2008-09-15, (1516): 62. ^ 福永, 聖二. ユーモアのある死の物語. Yomiuri Shimbun Evening (Tokyo). 2008-09-12: 11. ^ 山根, 貞夫. 「おくりびと」：絶妙な手の動きに心打たれた. Asahi Shimbun Evening (Osaka). 2008-09-12: 5. ^ 渡辺, 祥子. おくりびと：すがすがしく 死と向き合う. Nihon Keizai Shimbun Evening (Tokyo). 2008-09-12: 20. ^ 前田, 有一. 『おくりびと』90点（100点満点中）. 超映画批評. 2008-09-13 [2014-08-20]. ^ Yamaguchi, Takurō. おくりびと. Eiga Judge. [2014-08-20]. （原始内容存档于2014-07-14）. ^ Yamane, Sadao. 映画が立ち上がる瞬間. 日本映画時評集成 2000–2010. Tokyo: Kokusho Kankōkai. 2012: 352. ISBN 978-4-336-05482-1. ^ Schilling, Mark. 'Okuribito'. The Japan Times. Tokyo/Osaka. 2008-09-05 [2014-08-20]. （原始内容存档于2014-07-14）. ^ 83.0 83.1 83.2 Armstrong, Derek. Departures (review). Allmovie. Rovi. [2014-08-20]. （原始内容存档于2014-05-23）. ^ Puig, Claudia. 'Departures' is an emotional, poignant trip. USA Today (Tysons Corner, Virginia). 2009-05-31 [2014-08-20]. （原始内容存档于2012-11-28）. ^ French, Philip. Departures. The Observer (London). 2009-12-06 [2014-08-20]. （原始内容存档于2013-12-21）. ^ Gleiberman, Owen. Departures. Entertainment Weekly (New York). 2009-05-27 [2014-05-27]. （原始内容存档于2014-05-27）. ^ Maher, Kevin. Departures. The Times. London. 2009-12-06 [2014-08-20]. ^ The Daily Telegraph staff. Departures, review. The Daily Telegraph (London). 2009-12-03 [2014-08-20]. （原始内容存档于2014-01-29）. ^ Kennicott, Philip. Departures. The Washington Post (Washington, D.C.). [2014-08-20]. （原始内容存档于2014-05-24）. ^ Cockrell, Eddie. Review: 'Departures'. Variety (Los Angeles). 2008-09-02 [2014-08-20]. （原始内容存档于2014-05-27）. ^ Porter, Edward. Departures. The Times (London). 2009-12-05 [2014-08-20]. ^ Phipps, Keith. Departures. The A.V. Club. Chicago. 2009-05-28 [2014-08-20]. （原始内容存档于2014-05-24）. ^ Scott, A. O. Making a Living Handling Death. The New York Times (New York: The New York Times Company). 2009-05-28. （原始内容存档于2014-08-20）. ^ Rayns, Tony. Departures review. Film Comment (New York). 2009-05-06 [2014-08-20]. （原始内容存档于2013-12-21）. ^ 95.0 95.1 Kilday, Gregg. Regent acquires 'Departures' rights. Hollywood Reporter. Los Angeles. 2009-05-05 [2014-08-20]. （原始内容存档于2014-06-11）. ^ Motion Picture Producers Association of Japan staff. 出品作品・受賞歴. Tokyo: Motion Picture Producers Association of Japan. [2014-08-19]. （原始内容存档于2014-07-01）. ^ Itzkoff, Dave. 'Departures': The Film That Lost Your Oscars Pool for You. The New York Times. New York: The New York Times Company. 2009-02-23 [2014-08-20]. （原始内容存档于2014-06-15）. ^ Kilday, Gregg. Palm Springs picks 'Departures'. Hollywood Reporter. Los Angeles. 2009-01-19 [2014-08-20]. （原始内容存档于2014-06-11）. ^ 亚洲电影大奖. 第三届亚洲电影大奖. 香港: 亚洲电影大奖. 2009 [2014-08-20]. （原始内容存档于2014-08-20）. ^ Asia Pacific Screen Academy. 2009 Winners Annouced. Brisbane: Asia Pacific Screen Academy. 2009-11-26 [2014-08-20]. （原始内容存档于2013-11-03）. ^ Sports Nippon staff. 本木雅弘主演「おくりびと」ブルーリボン賞に決定. Sports Nippon (Tokyo). 2009-01-15 [2014-08-20]. （原始内容存档于2014-07-14）. ^ Oricon staff. 本木雅弘、自分がおくられる頃"往年の名作"となった「おくりびと」観たい. Oricon. Tokyo. 2008-09-14 [2014-08-20]. （原始内容存档于2014-07-14）. ^ 平, 闫; 瀛, 白. 金鸡国际影展举行颁奖典礼. 网易新闻. 大连: 网易. 2008-09-13 [2014-08-20]. （原始内容存档于2014-08-20）. ^ 香港電影金像獎協會. 第29屆香港電影金像獎得獎名單. 香港: 香港電影金像獎協會. [2014-08-20]. （原始内容存档于2014-04-01）. ^ Kobayashi, Chiho. 作品賞＆監督賞ー「おくりびと」滝田洋二郎監督記事を印刷する. Nikkan Sports. Tokyo. 2008-12-04 [2014-08-20]. （原始内容存档于2014-07-14）. ^ Schilling, Mark. A decade when Japan's cinema stood up to Hollywood menace. The Japan Times. Tokyo/Osaka. 2009-12-11 [2014-08-20]. （原始内容存档于2014-07-14）. ^ 107.0 107.1 Kyodo News Staff. 光岡自動車の霊きゅう車　「おくりぐるま」を発売. 47new (Tokyo: Kyodo News). 2009-02-24 [2014-08-20]. （原始内容存档于2013-06-22）. ^ 108.0 108.1 Yomiuri Shimbun staff. 「おくりびと」ロケ地、３月末で公開終了へ. Yomiuri Shimbun. Tokyo. 2014-02-22 [2014-08-20]. （原始内容存档于2014-08-20）. ^ Sōma, Manabu. 奇跡の"番狂わせ"!? 『おくりびと』はなぜ外国語映画賞に輝いたのか!. Nihon Keizai Shimbun. Tokyo: 1. 2009-02-26 [2014-08-20]. （原始内容存档于2010-04-21）. ^ Aera staff. 弱冠31歳の校長が「おくりびとアカデミー」に懸けた思い. Aera (Osaka). 2013-09-30 [2014-08-20]. （原始内容存档于2013-10-05）.